FRIDAY, Jan. 1, 2016 (HealthDay News) -- There are a number of things parents and coaches can do to protect young athletes -- and non-athletes -- from a concussion, an expert says. 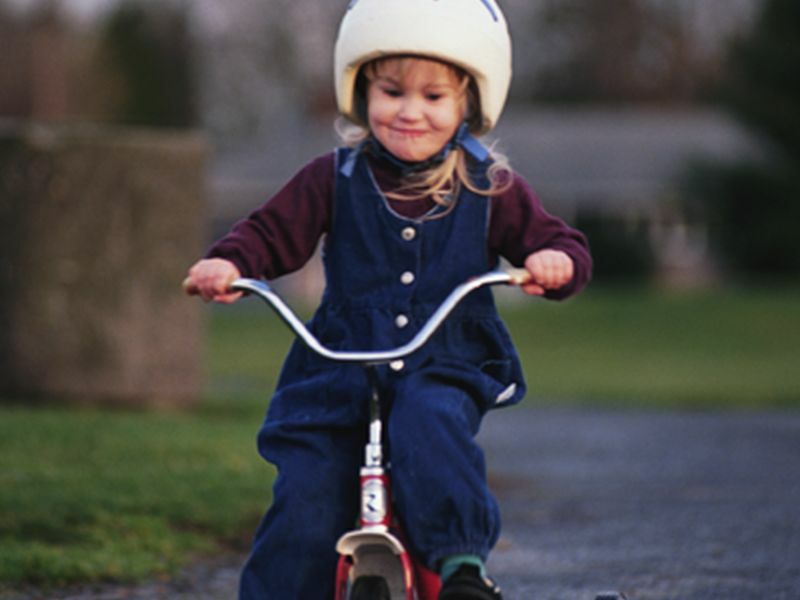 Children should wear a helmet when appropriate, advised Dr. Kathleen Bell, co-director of the Texas Institute for Brain Injury and Repair, and chairwoman of physical medicine and rehabilitation at UT Southwestern Medical Center. "Even at the youngest ages, football players wear helmets," she said in a center news release. "Ironically, however, football players do not suffer the most concussions. Increasingly today, bicyclists and skateboard riders are being seen in hospital ERs for concussions. While wearing a helmet does not guarantee prevention of a concussion, doing so can help minimize injury," Bell added. It's also important for the helmet to fit properly and be in good condition. "A loose-fitting helmet or one that's not in good condition is almost as bad as no helmet at all, since the head can impact the helmet itself and contribute to injury. Make certain the helmet is in good condition," Bell said. Parents should meet with coaches and trainers to discuss concussion policy. "At no age should a student athlete return to play the same day after experiencing a concussion, no matter how slight it might seem at the time," Bell said. "In Texas it is required that students experiencing a concussion sit out at least a week. When in doubt, sit it out!" Proper conditioning, training and skills development are also important. "There's a right way to head a ball in soccer, make a block, or tackle in football. Parents should take time to observe team practices to be sure the coaches are teaching these critical skills with a focus on safety first, not scoring," Bell said. Don't let youngsters play if they are tired or dehydrated, because both conditions can increase the risk of concussion.